Cholee is a stay-at-home mom who understands the value of keeping a clean and organized house. Here are her best tips! Spring may have come and gone already, but summer is just starting, and that's when most families have more free time on their hands. 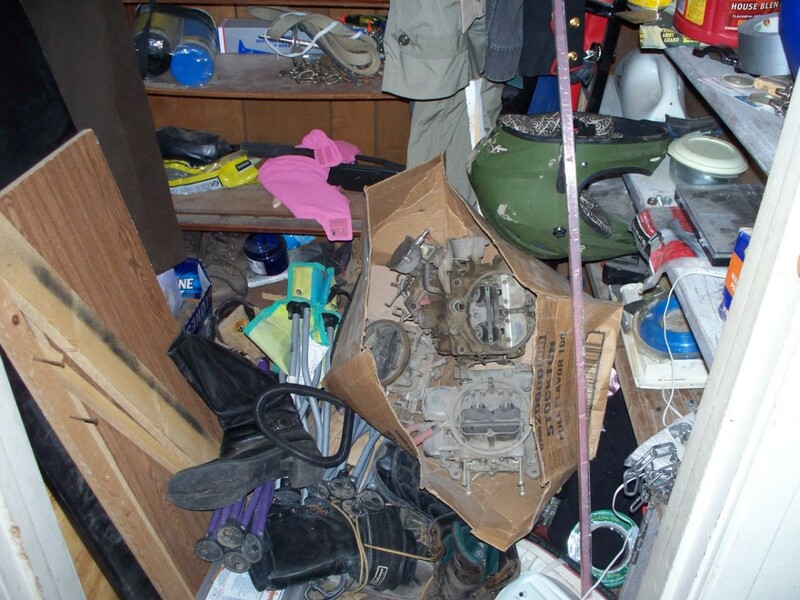 If you haven't gotten around to it yet, now is the time to clean out the closets, kitchen, and finances before summer gets completely underway. Cleaning and organizing the home and our lives may seem tedious and time consuming, but you will be glad you took the time. The freedom that comes with a clean, organized, and uncluttered home and lifestyle will leave you with options you never knew you had. 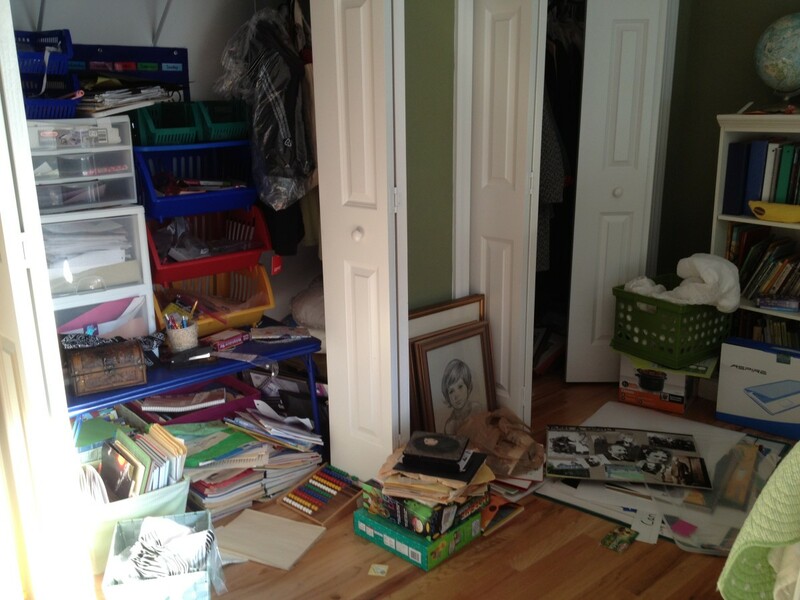 If you're one of the many people who hate spring cleaning, I hope to provide some positive and handy tips to help you in your quest to clean and organize not only your house, but your life as well. We all outgrow our clothes, maybe shrink a sweater or two, gain a few pounds, or simply decide we like the blouse better when it was on the rack at the store. No matter how we came about the clothes we no longer wear, it is easier to shove them in a drawer or pile them in the back of the closet rather than get rid of them. 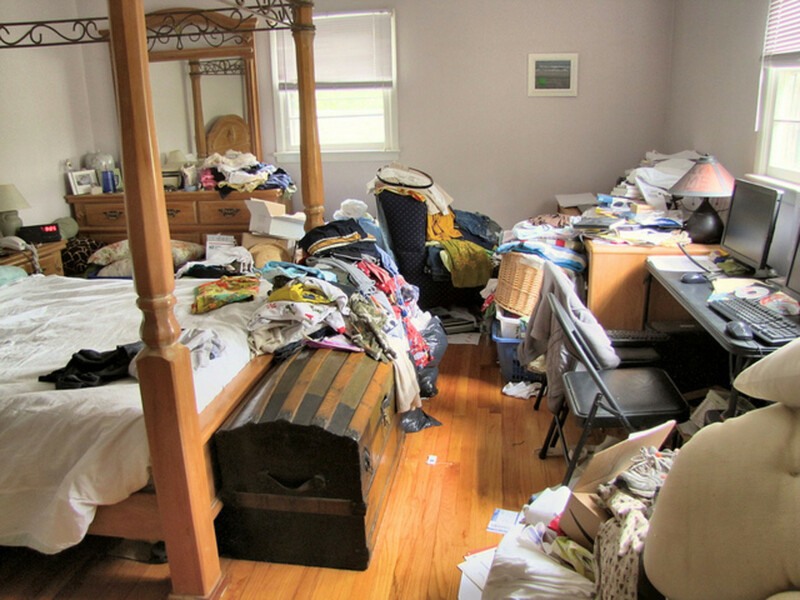 This causes clutter and disarray in the closet or dresser and makes it harder to find clothes to wear for the day. The great thing about clearing out the old clothes before buying new ones is the organization and cleanliness we can achieve. 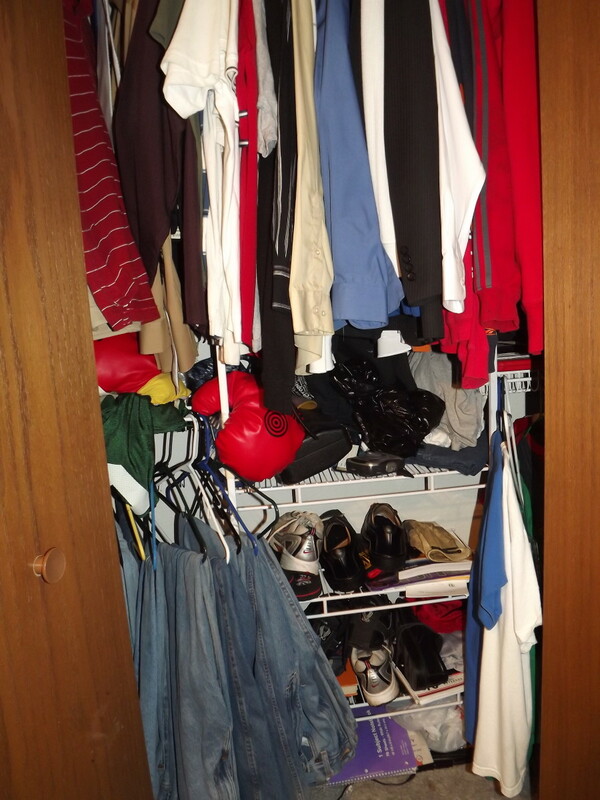 Decluttering and organizing the closets is a way to give back to the community as well. If you have a particular dress or other item of clothing you love and no longer wear but don't want to throw out, think about giving it away or donating it. By giving your clothes to Goodwill, the Salvation Army, or having a garage sale you can give back to the community. If you are looking to make a profit Goodwill gives you a receipt for your items and all you have to do is fill it out and you can file it on your tax returns and get your money back. Whether you have a walk-in closet, his and hers, or a simple closet with a single hang bar, these tips can and will help you keep your closet clutter free. Use a shoe organizer: If you're a woman you likely have more shoes than you need. If you feel the need to keep them all, a shoe organizer is a great way to display your shoes and keep the clutter off the closet floor. One drawer for each category of clothing: It's tempting to put clothes in drawers to keep them out of the way, however, when looking for clothes to wear trying to remember where you put a certain item of clothing can be difficult. Organizing the dresser so it houses one category of clothing per drawer will not only save time, but keep you organized as well. 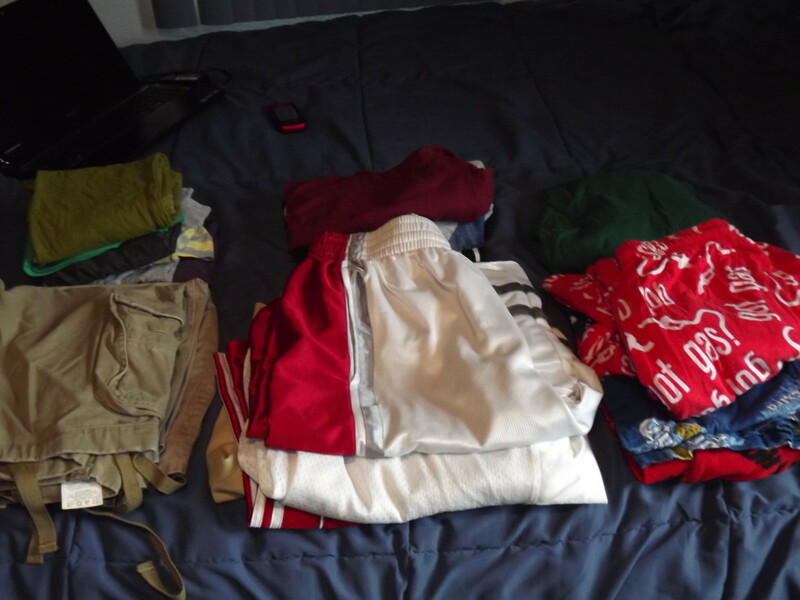 I like to start at the top and work my way down, filling my dresser with what I would wear first to last. I have two drawers for shirts as I like to keep my sleeveless and short sleeve shirts together and my long sleeve and dress shirts together. Hang only what you need to: Hanging t-shirts in the closet take up much-needed space for dresses, suits, and blouses. If you like to hang your t-shirts and jeans to keep them wrinkle free, use one side of the closet for casual and the other side for dress wear. Closet Organizers: These give you the space you may not have had before, while helping you keep the closet clean and organized. 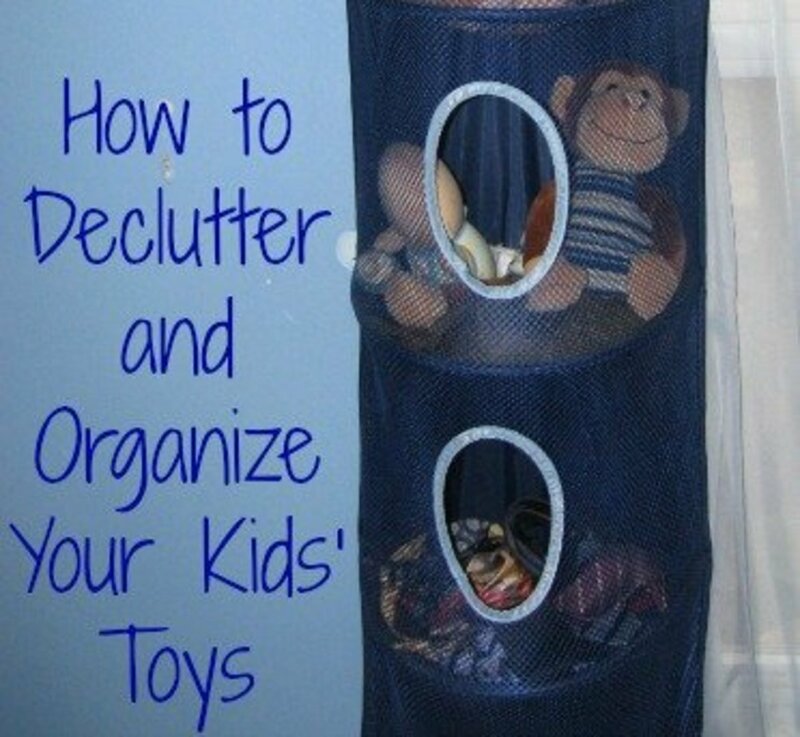 Using organizers help encourage those of us who may find it hard to continually keep things neat and organized. Vary the height of the poles in your closet: If your closet has the space for two or more poles varying the height will give the perception that you have more space and allow you to see all of your clothing at the same time. T-shirts are shorter than dresses and suits and can be hung closer to the ground while still avoiding touching and getting dirty. Most of us have way too many appliances for our kitchen. We seem to acquire or buy more than we need and rather than throwing them out or donating them we throw them in a drawer or the back of a cabinet. To determine what you need and actually use sort through your appliances and utensils, and put them all in one cabinet, drawer, or box. 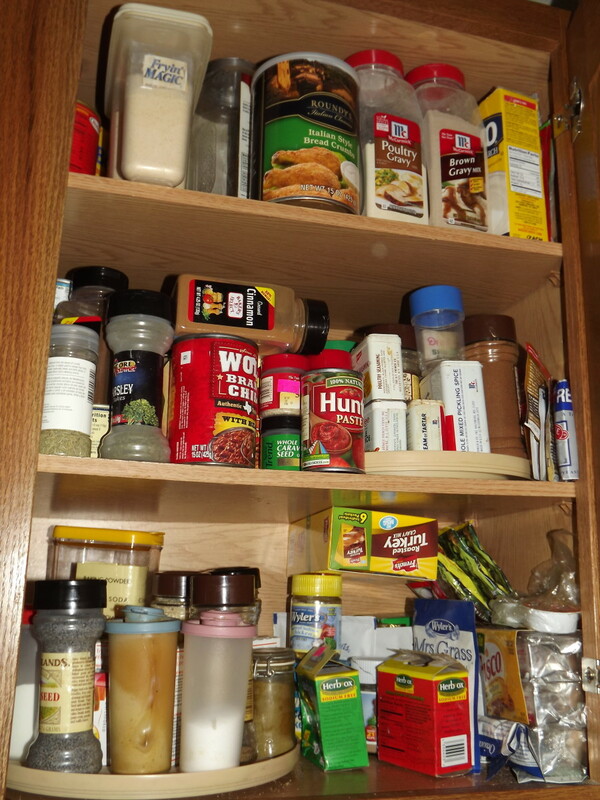 Whatever is left in your cabinet or box at the end of the week can be donated or thrown out. 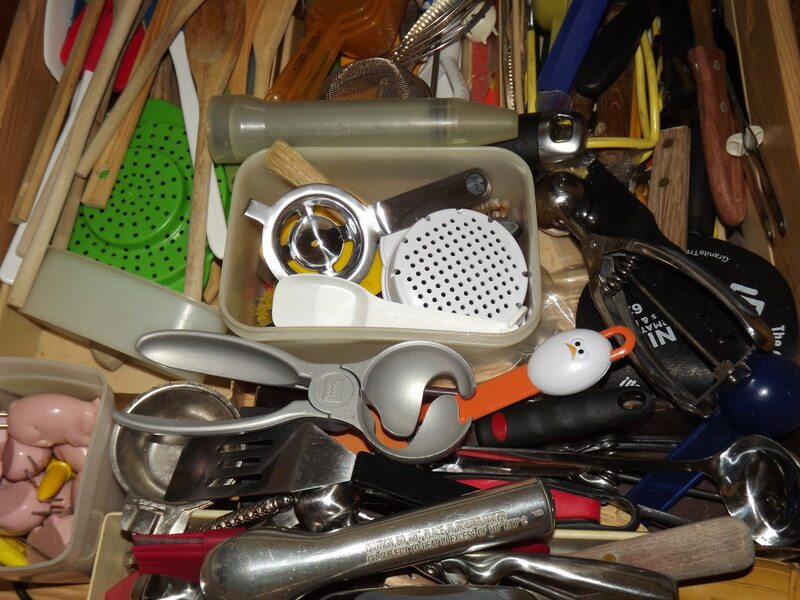 Broken or well-used utensils that have seen better days should be thrown out rather than kept with their replacements. It is amazing the things you will find in your kitchen drawers that you didn't even realize you had. With the unused, old, and broken items removed from your kitchen, you have the freedom to reorganize and declutter your kitchen. A neat, clean, and organized kitchen is one that you will enjoy cooking in. You will find that you actually want to cook a meal in your clean kitchen rather than going out and buying something from a restaurant. 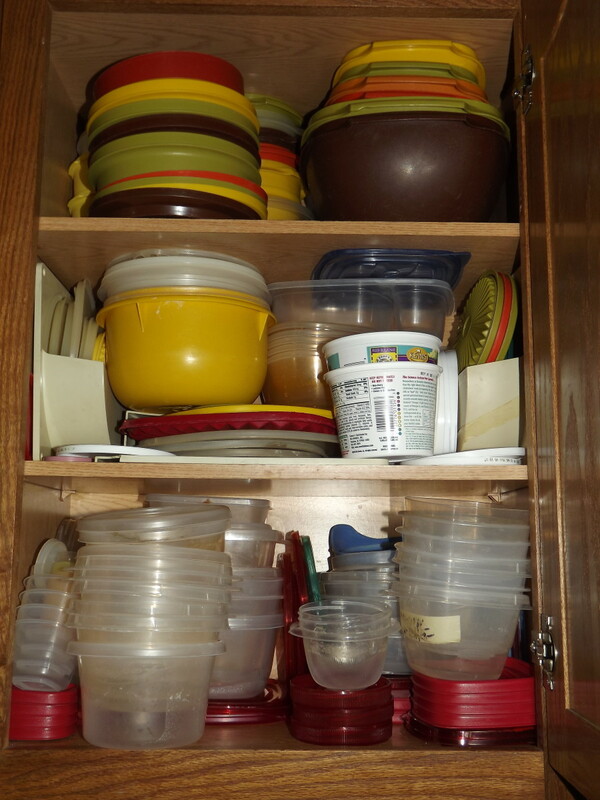 Use rolling shelves: I love having rolling shelves in my cabinets, especially for those that are under the sink. They work well for tight or small spaces because they allow for you to have easy access to items that may be hard to get to otherwise. Utilize the inside and sides of cabinets: Smaller items such as measuring cups/spoons, small spice containers, and utensils can hang on the outer edge or even the inside of your cabinets. 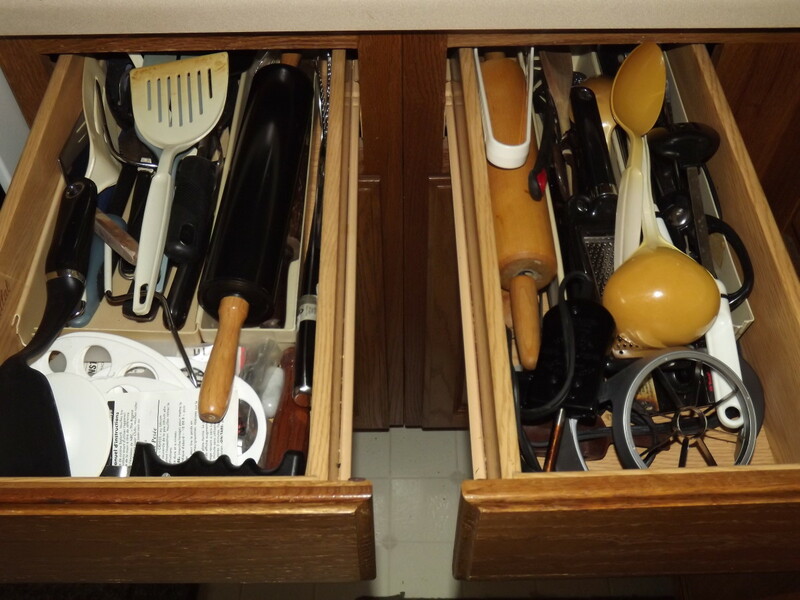 This not only frees up drawer space, but it also allows for you to see exactly what you have without having to dig around for a specific item. Another favorite of mine is using hooks and containers to hang gloves/pot holders and other hard to store items like aluminum foil and parchment paper. Use lazy susans or hooks for corner cabinets: I absolutely love lazy susans. Not only do you get more storage space, but you have the ability to see everything in a minute flat. Hooks can be used in corner cabinets as well to hang pots and pans creating a useful space out of something that generally creates mass clutter. File bakeware: This has truly been a life saver for me! I love to bake, but digging through all my cookies sheets, muffin tins, and other bakeware was tedious and annoying. Now that I "file" them I can find exactly what I'm looking for in no time. 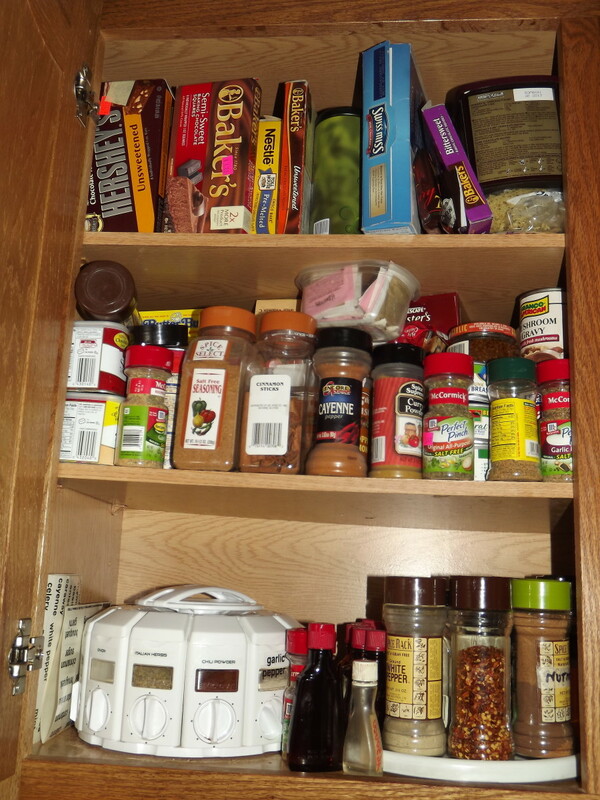 Not only do I have more space in my cabinet, it's also neater and so much easier to clean and put them away. Mount a dish drying rack: I have always hated wasting counter space with a dry rack. On occassion, I keep it in the sink, but that causes water stains and creates more work for me. I found this idea on Pinterest and I'm in love! Not only does hanging your dry rack keep it off the counter it encourages you to dry the larger items right away helping to reduce clutter. If you have trouble balancing your checkbook or keeping track of payments and other financial needs, spring is a great time to reorganize your finances. If you're on top of your finances it should only take about 5 minutes to sit down, plan, and map out all your financial needs for the year. If this is your first time attempting to organize finances it might take a little more time, but it is well worth it in the end. Create blueprints for each category: You can better budget your money if you know exactly how much you are bringing in and where that money is going. It's also very eye opening once you understand how much money you spend in each category. Budget for big items: Customize a savings and payment plan for each big ticket item you plan to purchase or for any big trips you plan to go on. Never pay more than you have to: Groceries and coffee should not be on your credit card bills. Buying groceries with cash also keeps you from going over budget and buying items you really don't need. 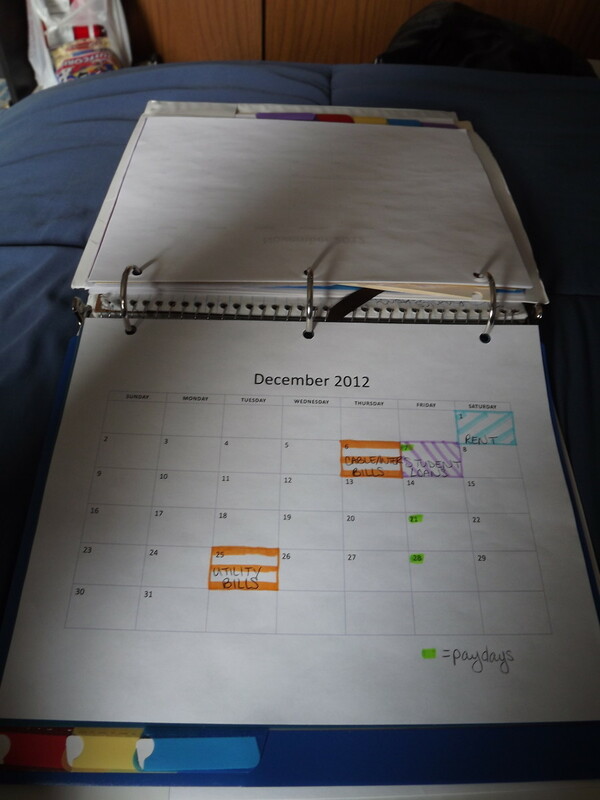 Keep a family calendar: Keeping track of when everything is due for bills, loans, rent and other miscellaneous items will help you budget and remind you when you should be paying your bills so you can avoid late fees, missed payments, and higher interest. Once you know where your money is going, it is easier to save and plan for each item. Staying out of debt can be easy with a little planning, organizing, and saving according to what you make and how much you have to spend. To help with our family finances we started reading everything we could get our hands on by Dave Ramsey. His baby steps have truly helped us get to a place where we feel comfortable and in control of our money. I highly recommend that everyone check out The Total Money Makeover by Dave Ramsey. It has been truly life changing for us. I love this book because it contains real-life testimonies, shocking statistics, and he takes the time to bust financial myths that I know so many people believe in (including me at one time). We've read through his book at least twice and have finally made the plunge and bought it. The back of the book contains worksheets and budgeting plans. We have made several copies of these pages throughout the years and I'm always amazed at how organized we can stay with them. If you cannot borrow it from the library or purchase it, I would suggest you check out his app every dollar. It contains all the budget information you need and helps you figure out how to create a budget with the income you have. 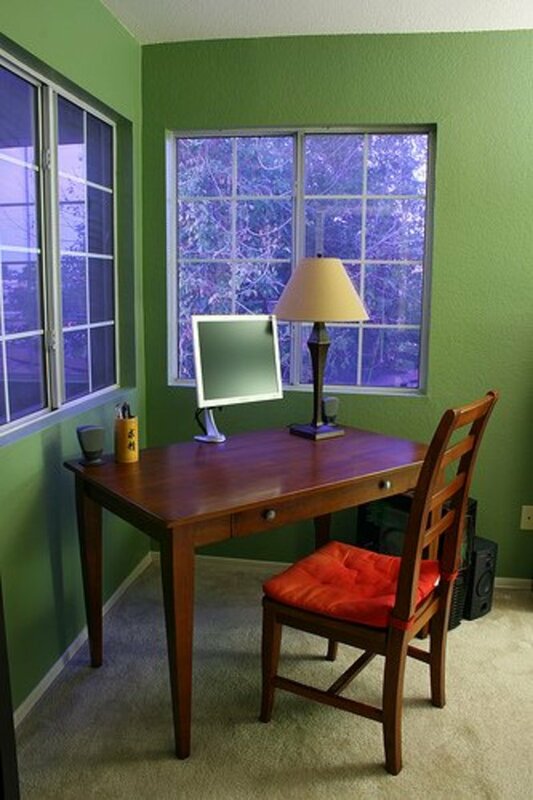 The important thing to remember is to start small and work your way up. If you try to change everything at once it will become overwhelming and you will likely fail. Start with baby step one and follow them through to the last one and success will come. 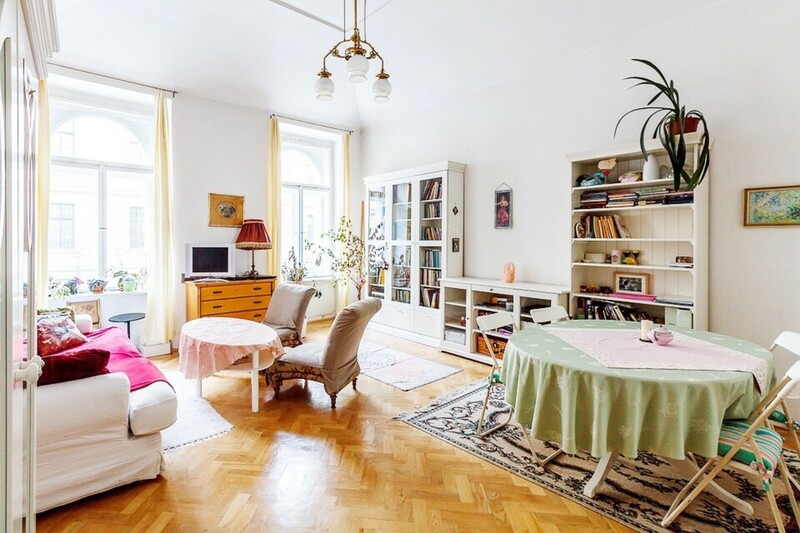 With a clean house and an organized lifestyle, the stress and clutter of everyday life will melt away. 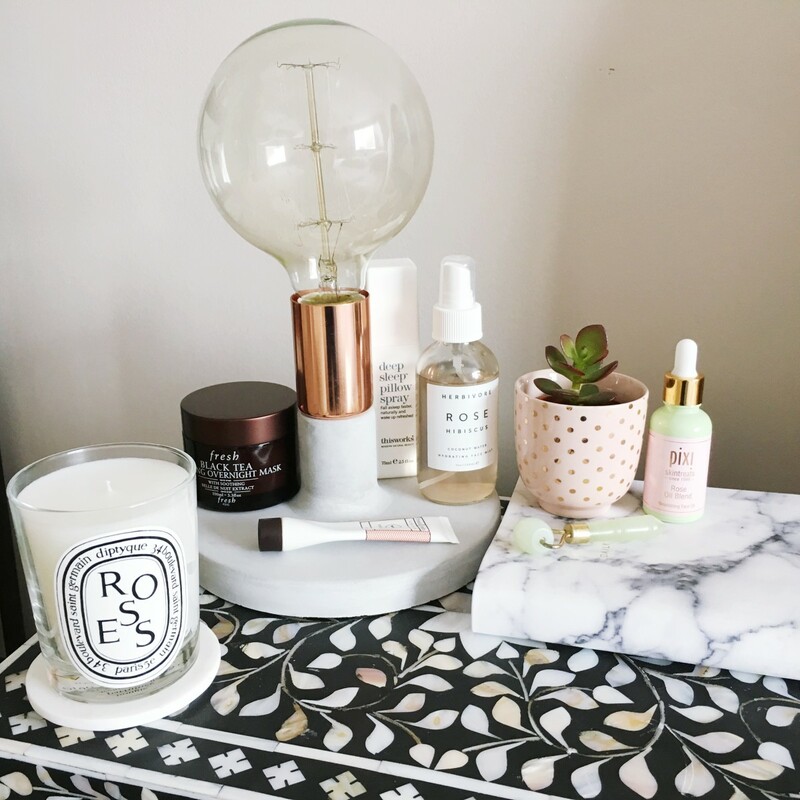 You might just be surprised how relaxing and comforting it can be to come home to a clean, neat, and organized household. From the closet to the finances, spring cleaning is sure to provide you with peace of mind and a less stressful summer. Jill Larson-You're welcome, I hope you find some of them useful in helping you. Thanks for stopping by and commenting. That is always the hardest part for me, actually going about doing it and sticking it out to the end. Good luck organizing Teresa! Hope some of these tips help. Great tips Shesabutterfly. Now I have to put them to good use and organize my kitchen and closets. 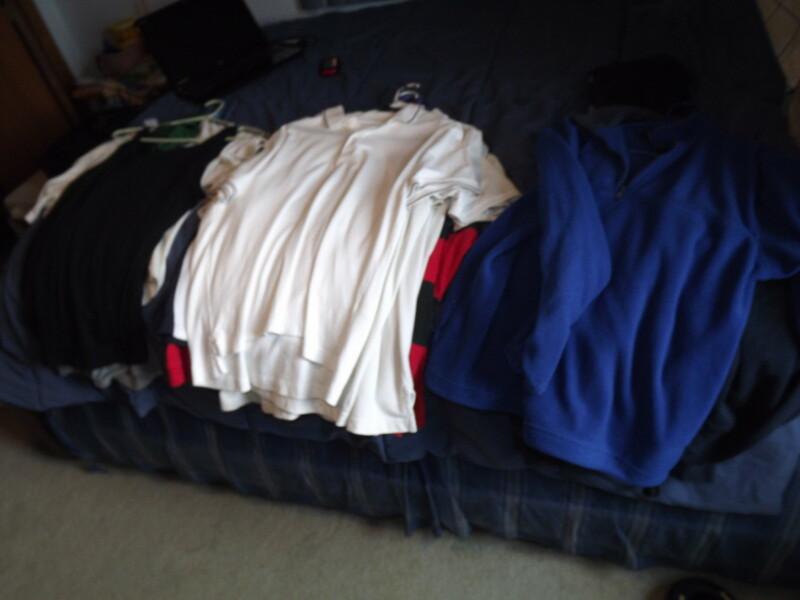 Sometimes it seems like a never ending battle - kind of like laundry with three active boys!